Loudness of a sound depends on the amplitude of the sound wave. The greater the amplitude of a sound wave, the louder the sound is. The pitch of a sound is high or low of the sound. 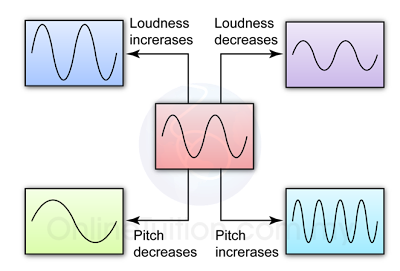 The pitch of sound is determined by its frequency. The higher the frequency, the higher the pitch.